https://northwestohio.bintheredumpthatusa.com/about	Bin There Dump That Northwest Ohio	https://northwestohio.bintheredumpthatusa.com/img/franchisees/78.jpg	, Findlay, OH	Contact us for more details. As a professional firefighter right here in Northwest Ohio, I, Jerry Greer, know the importance of doing the job right the very first time. I know you never get a second chance to leave that very first and lasting impression. That’s what brought me and my wife, Julie together to provide a clean and effective dumpster system right here in Northwest Ohio. When we drive around Northwest Ohio, we have always appreciated the beautiful area we live in and how many great communities that surrounded us. There is a great deal of construction and remodeling activity going on and all too often we see big commercial dumpsters or rusty trailers that are unappealing to our communities and neighborhoods. We wanted to help keep our neighborhoods looking beautiful. 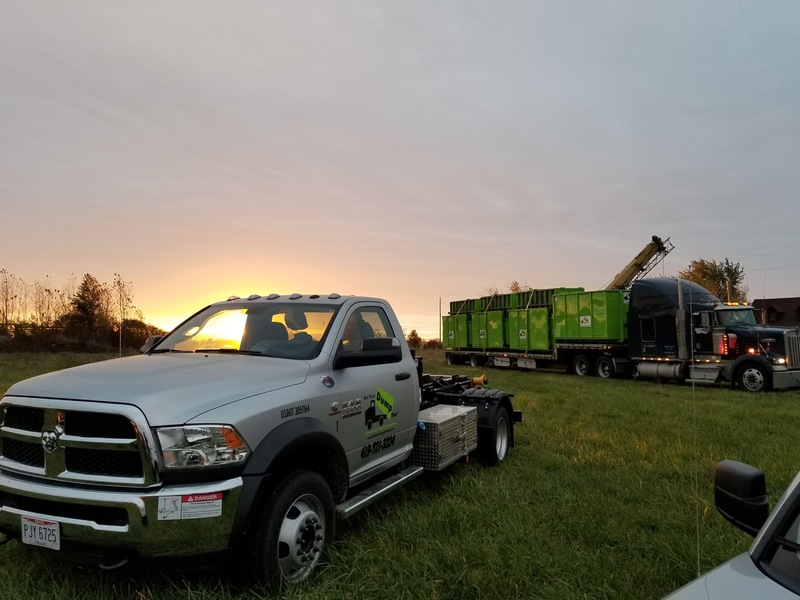 We are focused on being the best dumpster rental service provider right here in Northwest Ohio. Bin There Dump That – Northwest Ohio is a "residential friendly" mini disposal system that takes away almost anything that municipal trash handlers will not. Our unique system allows prompt response to customer's requests. Our bin or dumpster sizes vary from 4 to 20 yards and are placed on your property using a unique roll-off system. The whole trash or junk removal system is designed so the trucks, bins, dumpsters fit perfectly in the average residential driveway. The footprint of the bin is similar to that of a minivan. These ideas may not be new, but our service and professionalism gives us the edge when it comes to the mini disposal business. Our Northwest Ohio Bin There Dump That team will provide bins anywhere in Northwest Ohio. Give us a try for your next Northwest Ohio dumpster rental, you'll be impressed with how different we really are!